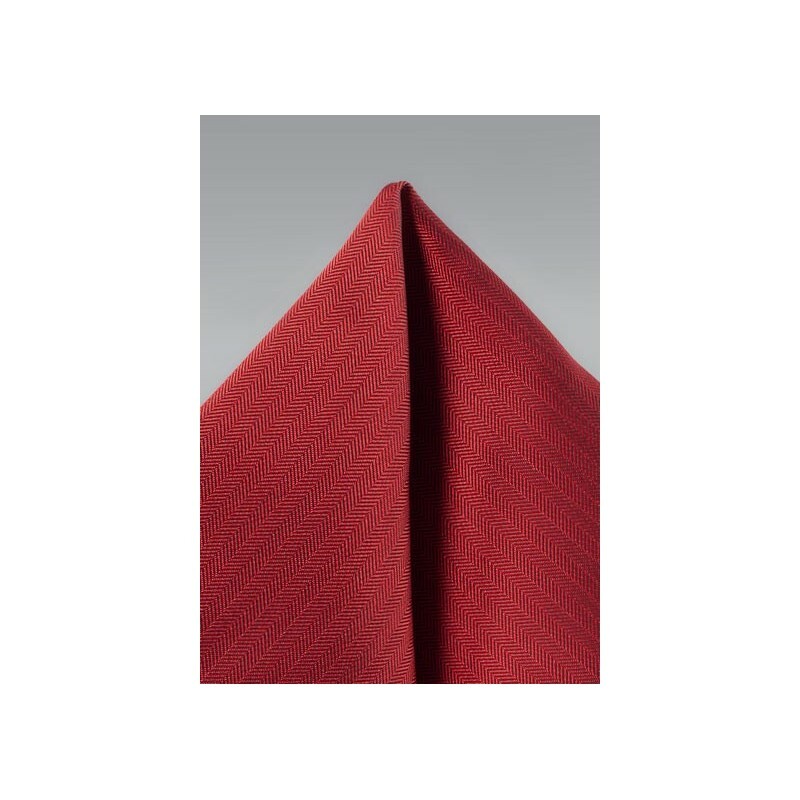 Set yourself apart and turn heads anywhere you go by adding this pocket square to your favorite navy blue suit. 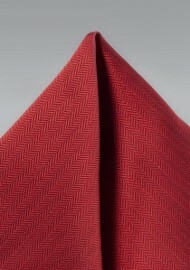 The rich cherry red color comes to live thanks to a finely woven herringbone texture that adds nice sheen and dimension to an otherwise solid color design. Our tip: Wear with navy suit, solid light blue shirt, and a cherry red and navy polka dot necktie. Made from woven microfiber.